Several months ago I discovered the live video gaming streaming service Twitch.tv through the Battlefield Podcast. Over several episodes I would hear that they were doing the podcast live over Twitch.tv so I decided to check it out. After browsing around it I thought, "well this is kind of cool!" and I wanted to try it out. Last November I built a new gaming PC to take on Battlefield 4 and with it I picked up an Avermedia Live Gamer Portable capture device. I got it not only to try streaming but also to just record my gameplay in general. I always find that you are better able to see what a person is doing wrong or doing really good when you are watching them but, it is very difficult to tell what you are doing good or bad when you are actually playing. Kills and deaths come so quick in games like Battlefield so it’s good to be able to go back and review what happened. So now I find myself doing some streaming from time to time and have done same game related YouTube videos as well. I’ll never spend the time on it required to become popular enough to receive donations and make a living off of it but, it’s a fun hobby to do from time to time. You can check out my Twitch.tv and YouTube channels by following the links below. Links can also be found in the links section of this weblog. I picked up a copy of Deus Ex: Human Revolution and while it is a great game, I found one major problem with it. It kept crashing to desktop! When it would crash was totally random. sometimes I could play for an hour or two and it would be fine. Other times it would crash in 5 minutes or less. Searching around the internet a lot of people said switch off DirectX 11 and just use DirectX 10. I did this and it did seem to stop the crashing, but the graphics just weren’t quite as good which is unacceptable! My computer can play this game with max settings in DirectX 11 with just fine frame rates so why should I have to settle for lesser graphics? I tried many things I read online to try to remedy the problem. I updated and re-installed the latest video drivers a few times. I had Steam scan the files for errors and defrag them. I messed around with the anti-alias settings. I started even digging into one suggestion of trying to delete/rename some ATI .dll file that was causing problems, but none of these things seemed to work. I continued searching some more but this time I included in my search the graphics card I have, the GeForce GTX 570. I heard a lot of the same things, but eventually I came across one forum which contained the answer to my problem. I can’t for the life of me re-find the posting, but the guy had said that certain DirectX 11 calls can cause the GTX 570 to crash and that the way to fix it was to bump up the GPU voltage a little bit. He said to use the program NVidia Inspector and just increase the GPU voltage one notch at a time until the crashes stop. The default GPU voltage is 1.0V and he claimed that the GTX 570 GPU was rated to handle 1.1V so a small bump shouldn’t hurt it at all. I had tried everything else so I figured what the heck, I’ll give it a try. It worked! The image above shows exactly what I did. 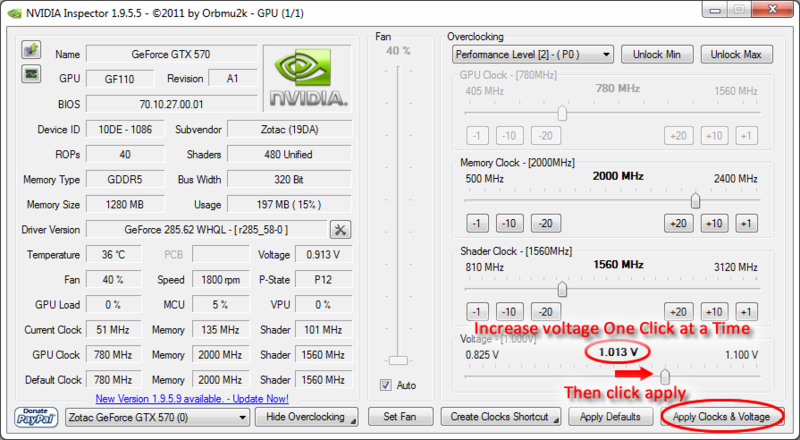 In NVidia Inspector I bumped the GPU voltage up only one notch from 1.000V to 1.013V, only 13mV, and the crashes stopped! Deus Ex runs great now in DirectX 11 and I don’t get crashes anymore. It even seemed like it reduced my crashes in Battlefield 3! Being an electrical engineer I couldn’t just have it work, leave it at that and be happy. I started thinking about why this works and I’m pretty sure the following explains why. 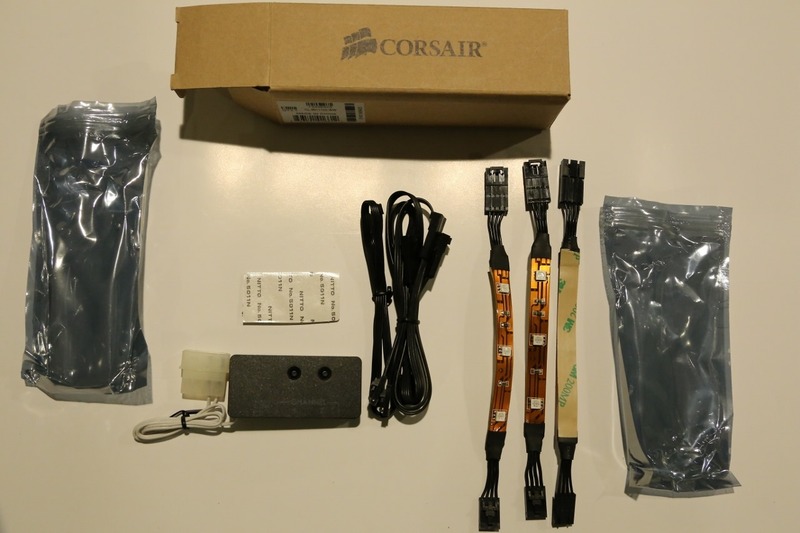 Basically it comes down to this: the transistors aren’t switching fast enough for the clock speed the chip is running at and increasing the voltage speeds them up. Let me explain. Operations in a processor have to be synchronized and the synchronization is done with a system clock, an electrical signal that toggles between 1 and 0. This clock switches at a specific frequency and this is specified as the processors speed. Operations in the processor must complete and arrive at a steady state before the clock signal changes value. If they have not completed before the clock transition arrives, there is a good chance that the wrong value will get locked in at the synchronization point. If this happens, then the data being processed gets corrupted and errors occurs. What I think is causing the game to crash is that certain DirectX 11 calls make the GPU perform an operation that just barely completes before the clock edge arrives and Deus Ex is putting the GPU in just the right state that for some reason this operation takes just a little bit longer than normal and the operation is not quite complete when the clock edge arrives. This causes the wrong value to be latched in by the clock corrupting the data and causing the game to crash. In order to keep this from happening, the transistors in the processor need to be capable of switching quickly enough so they finish before the clock edge arrives. Without rebuilding a processor, the only way to make the transistors switch faster is to increase their drive current. Increasing the drive current charges the gate of the transistor more quickly thus making them switch faster. To increase the drive current we simply increase the drive voltage. More potential across the transistor causes more current to flow and thus the transistors switch faster. Increasing the GPU voltage causes the problem operation to complete a little bit faster that even in the odd case it still beats the clock edge and the error no longer occurs. It’s for this reason that CPU over clockers increase their core voltage when doing extreme overclocks. The high clock speeds give the transistors less time to complete their operations before the clock edges so the voltage needs to be increased to speed them up. If you are experiencing crashes in Deus Ex: Human Revolution when using DirectX 11, and you have a GeForce GTX 500 Series GPU, you may be able to fix the problem with just a small bump in the GPU core voltage. Grab yourself a copy of NVidia Inspector and bump the voltage up just a notch or two and your problem should be gone. Google Maps allows you to create custom maps that include waypoints, paths, pictures, etc. Points can be entered manually or imported into Google Maps as .kml or .kmz files. The problem is that the Garmin software does not allow you to export data in these formats. Google Earth however, does. With BaseCamp’s ability to export data to Google Earth, we can use Google Earth as an intermediary to get GPS data into Google Maps. Perform the following steps to get your GPS data from your GPS unit and into Google Maps. 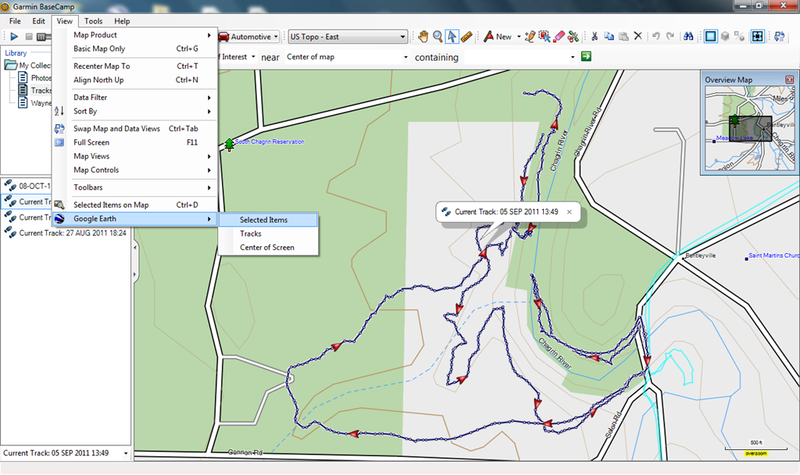 In this example I will show how to transfer GPS tracks (breadcrumbs). Open BaseCamp and load your GPS data into the program. You can use BaseCamp to transfer the data directly from the GPS or to open and existing GPS data file. Select the data you wish to load into Google Maps then go to the View menu and select Google Earth. From the sub menu click Selected Items. See the image to the right for an example. Google Earth will open and the selected data will be loaded into the Temporary Places folder in a sub folder named BaseCamp. This folder will contain all the data that you selected to be exported to Google Earth. Tracks can be found in the BaseCamp –> Tracks –> Paths folder. Select the tracks and any other items you wish to load into Google Maps the right-click on one of the items and select Save Place As… An example can be seen to the left. In the Save file… dialog, select Kmz from the Save as type: drop down menu then name the file and click Save. Open a web browser and navigate to http://maps.google.com. If you are not already logged into Google, do so now. From the pane on the left click the My places button then click Create Map. The pane loads with some fields that allow you to name your map and give it a description. This pane also lets you select whether the map should be listed publicly or not. The map itself loads the editing tools in the upper left allowing you to add placemarks and paths manually. At the top of the pane on the left click Import. This presents the Import KML dialog asking you to point it to a file. Click the Browse… button and navigate to the folder where you stored the .kmz file you saved in Google Earth. Select the file and click Open. Click the Upload from File button to start the upload. 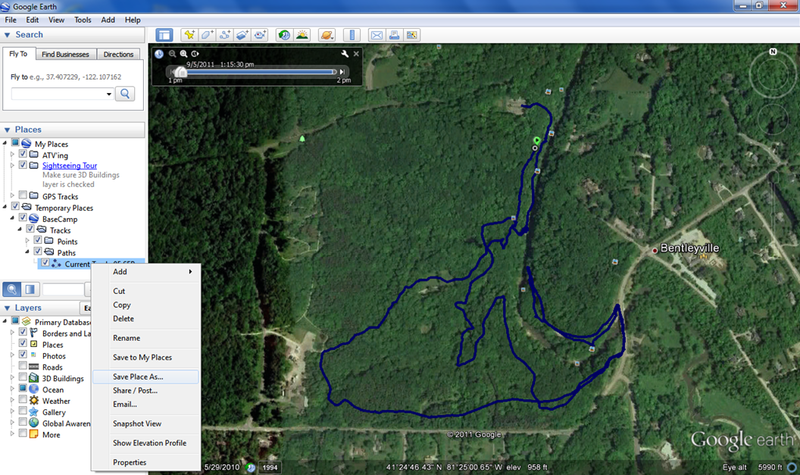 After the file is processed by the server, the data appears on the map including any tracks and waypoints. Click Done from the pane on the left to finish editing the map. You now have imported your GPS data into Google Maps! Finally, to share the map, click the chain link icon at the top of the pane on the left. This will open a box containing a link directly to the map as well as HTML code to embed the map in a web page. See the image to the right for an example. And that’s it! 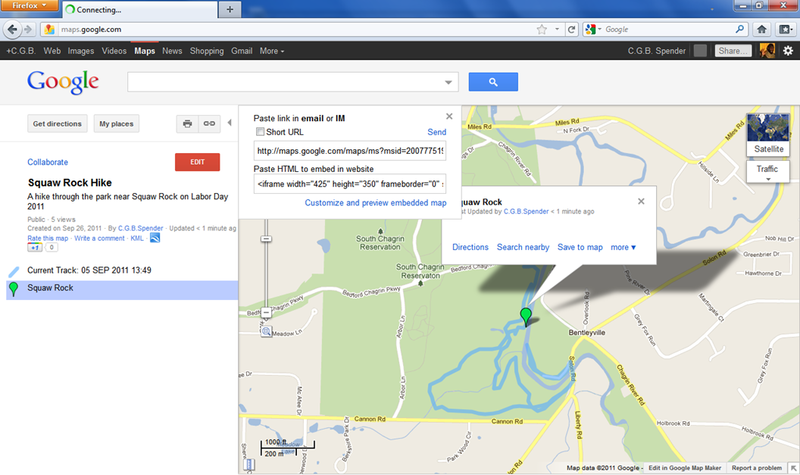 Your GPS data is in a cool Google Map that you can share with the world and show where you’ve been! The map I created in this example can be seen embedded below. I was looking around my old files on my computer and I came across some old LAN Ohio videos I had created way back in the day. They were low resolution and had a lot of compression artifacts, but they looked great back in the early 2000’s! Fortunately I still had the original project files so I was able to re-export the videos in their full quality. I’ve uploaded the videos to YouTube for all to see! Have a look below!